Trying to understand the university policy and the state laws can be confusing. 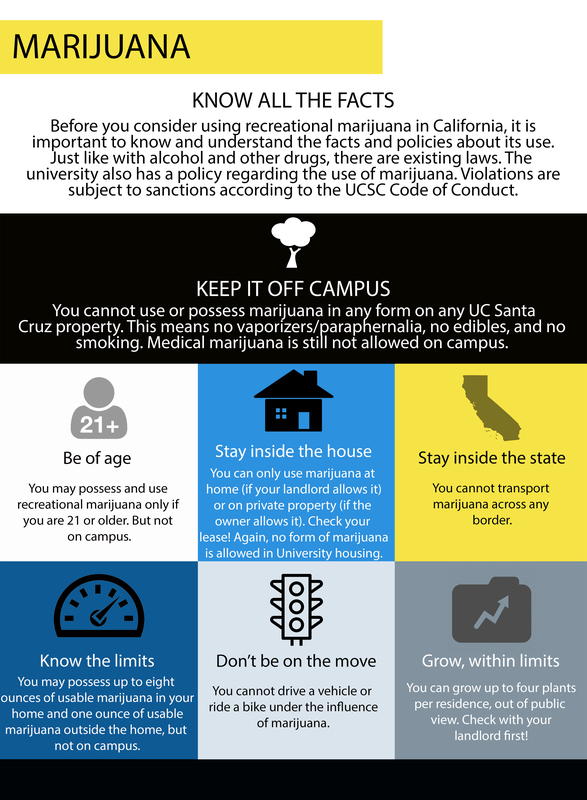 Here are some frequently asked questions that can help further illustrate how to use marijuana responsibly and abide by the policies and laws regarding marijuana. The information contained on this website borrows heavily from the great work of our colleagues at the University of Oregon.